The best part is, you get to choose which day of the Fairyhouse Easter Festival you want tickets for. As much fun as it is to tuck into an Easter Egg at home while you watch Fairyhouse on the box, nothing beats being there. Thousands of punters will be making their way to the legendary course in County Meath between Sunday, 21 April and Tuesday, 23 April. 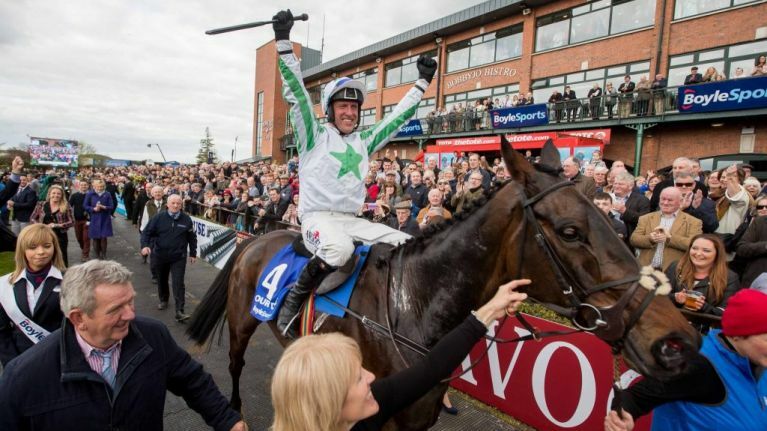 Day one of the festival plays host to the iconic Ryanair Gold Cup, which has been won through the years by the likes of Arkle and Like A Butterfly. If ever there was a race that needs no introduction, it's the Irish Grand National. It brings together racing fans of all ages and interest levels, and has to be the most celebrated title on these shores. Finally, the Easter Family Fun day is ideal for racing fans of all ages. Kids go for free, but that doesn't mean the grown ups can't have a bit of fun and enjoy the fantastic standard of racing on offer. All you have to do to be in with a chance of winning is answer the question below. There are three epic days of racing, music and general craic to be had, and you'd get to choose which one you want tickets for!